Are we ready for some Football?!!! I may not get excited over the Superbowl, but the party menu for this week is a Home Run! - No wait, that's baseball. I'm not a football fan. Melt butter in a small skillet over medium heat. Add shallot or onion and cook until soft, 4-5 minutes. Add garlic and cook until fragrant, about 1 minute. Let cool. Combine panko and milk in a small bowl. Let stand until milk is absorbed. 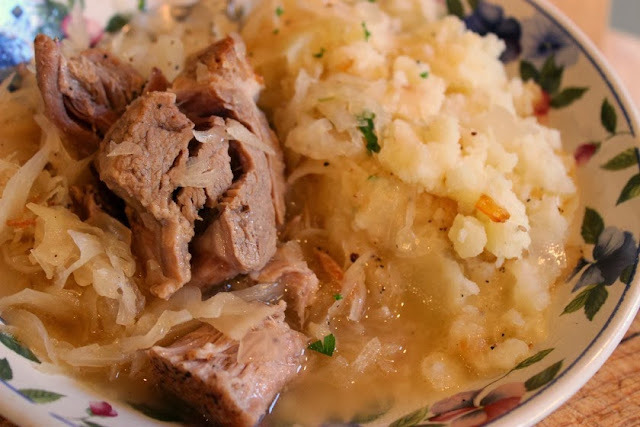 Squeeze any liquid from sauerkraut and coarsely chop. Place in a medium bowl. Add 1 Tbsp. Dijon mustard and caraway seeds. Season with salt and pepper. Add pork, onion, garlic and panko/milk mixture. Mix until just combined. Line a baking sheet with parchment paper. Roll out pastry on a lightly floured surface to a 14 x 10" rectangle. Cut lengthwise into 14 x 3-1/3" strips (doesn't have to be perfect). Transfer sheets to baking sheet. Using one-third of sausage filling and leaving a 1" border at each end, pat sausage to form a thin log of filling down the center of each strip. Lightly brush edges with egg and fold pastry over sausage mixture to enclose. Press pastry together to seal. 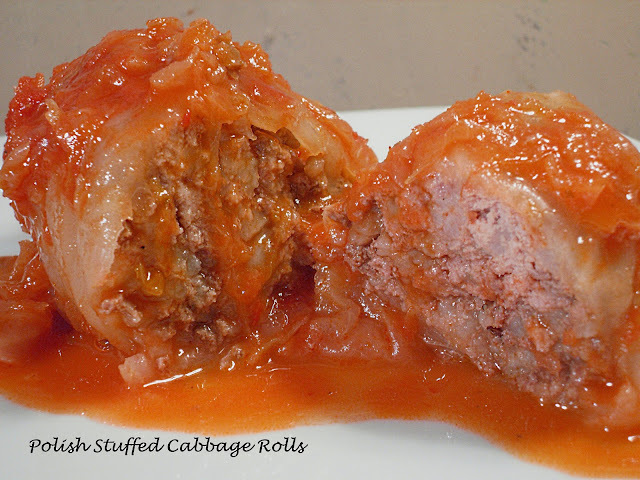 Fold seam under to ensure that sausage is tightly wrapped. Cut small diagonal slits at 1" intervals along top of pastries. Brush top and sides with beaten egg; chill in freezer 30 minutes. Do Ahead: Pastries can be made 2 weeks ahead. Cover tightly with plastic wrap, then foil and keep frozen. Preheat oven to 425 degrees F. Bake pastries (if frozen, no need to thaw) until puffed and light brown. About 15 minutes. Reduce heat to 350 degrees F. Continue baking until sausage is cooked through and pastry is golden and puffed, about 20 minutes. 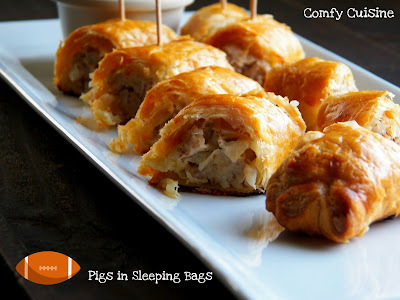 Love your gourmet take on pigs in a blanket, Patti. And very much appreciate the photos which accompany your clear instructions...I'm feeling confident that I could replicate the gourmet Comfy Cuisine in the Ninja Baker kitchen. Thank you!!! (Wipes chin) I'm drooling over these. Oh my stars. 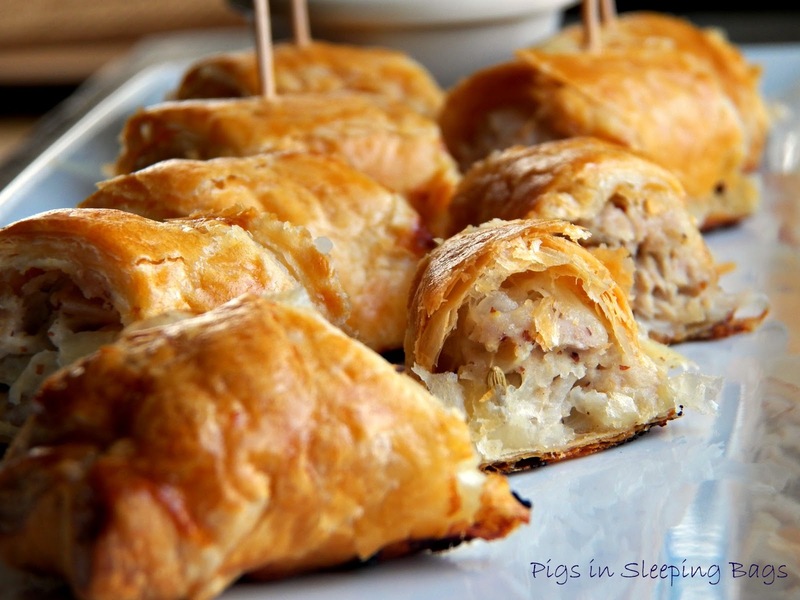 Pork + sauerkraut + puff pastry = sheer appetizer heaven. I've been craving these since I saw your teaser pic! YUM! Wow! Pigs in a sleeping bag! LOVE IT!!!!!!!!!!!!!!!! What a great recipe!! Wow - flaky and golden perfection!!!! Wow, do those look good. My hubby would love them!! There would not be any left once I got my hands on these babies! Yum! Thanks for sharing at #SudaySupper! Upscale blankets for sure! These aren't sleeping bags, these are down-filled king sized comforters with built in heating pads! I told you I loved the name and now I love everything that's in it! This is a keeper for sure! These look amazing ! crunchy, flaky and soft inside ! beautiful pics too :) !! Oh these look like what we call sausage rolls in the UK. I love all the spices you put in these.